Oakland County Economic Development & Community Affairs and the Michigan State University Extension-Oakland County are teaming up to present the Michigan Conservation Stewards Program training this fall. The program will be held September 8 to November 10 and consists of nine classes, eight of which will be held on Wednesday evenings except for one (Tuesday, October 30). All classes will take place from 6 p.m. to 9 p.m. at the Oakland County Executive Office Building Conference Center. Three all-day Saturday field sessions will be held from 9 – 4 p.m. on Sept. 8 at the E.L. Johnson Nature Center, Bloomfield Hills; Oct. 6 at Independence Oaks County Park, Clarkston; and Nov. 10 at Indian Springs Metropark, White Lake. This 10-week volunteer training and leadership program is designed for individuals who are interested in natural resource conservation and ecosystem management, natural history, outdoor recreation, natural areas, the region’s environmental issues and challenges, and strategies to help restore and conserve ecosystems in Oakland County. Participants learn how to understand, promote, support, actively contribute and/or lead significant volunteer management activities on public/private lands. The deadline to register is August 31. Click here for more information. 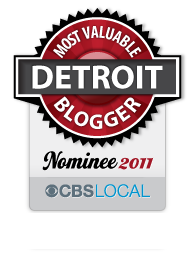 This entry was posted in Detroit, Things To Do and tagged conservation, ecosystem, environmental, Oakland County. Bookmark the permalink.